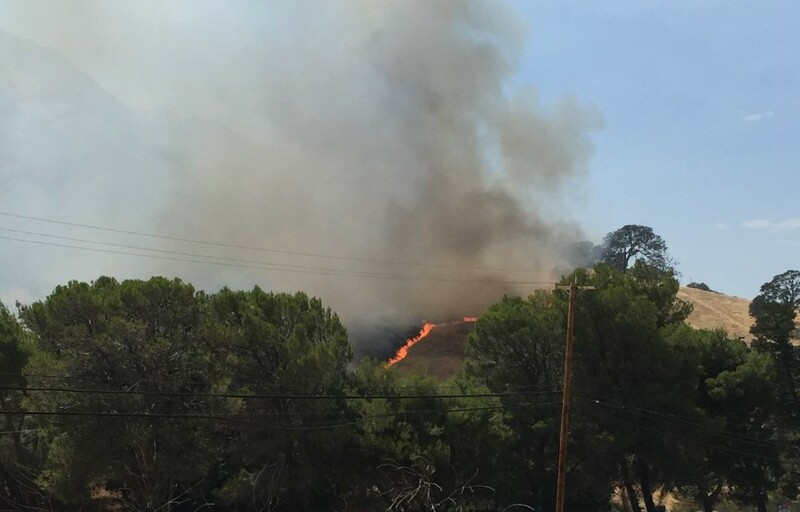 A three-acre vegetation fire is burning on Marsh Creek Rd., near the detention center in Clayton. Use caution if you’re in the area. Thanks to Leesamarie for the photo. 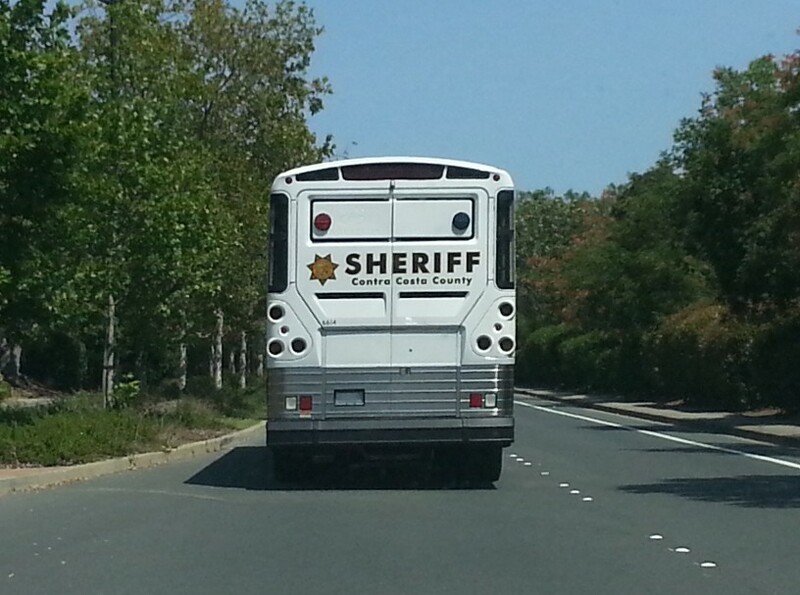 UPDATE, 3:28pm: The Sheriff’s bus is on its way to the detention center, apparently to evacuate prisoners. Thanks to Markus for the photo shown above. UPDATE, 4:16pm: The fire is contained. Saw 2 sheriffs busses with lights and sirens rushing out Marsh Creek towards the Detention Center. Presumably to evacuate the center. Is Marsh Creek closed due to the fire? Wow thanks for the update. Always know we can count on Claycord for up to minute reporting. Break the Cons out and have them help . Fire looks to be almost out – at least we can’t see any thing from our back field which is one field away from the detention center. And FYI many of those guys at the center do the fire break work at a fire. They were on the lines during the Morgan Fire and I suspect are being bused to the fires elsewhere. Hope some are left there to help at their own center. Would not want that job – hot, heavy equipment, clearing brush and roads, etc. Are they evacuating everybody from Diablo valley ranch as well??? Its already put out–just heard from someone that lives in that area. Any updates? Is the road still open? Wholly crap, that ruined the Spare the Air day! No air to spare today! Saw this one last week. Just drove thru there, and road is wide open. Weird, why would you let them out? Isn’t that why someone started the fire in the first place? Sometimes a brush fire, with no property damage or loss, is a good thing. It can only burn once.